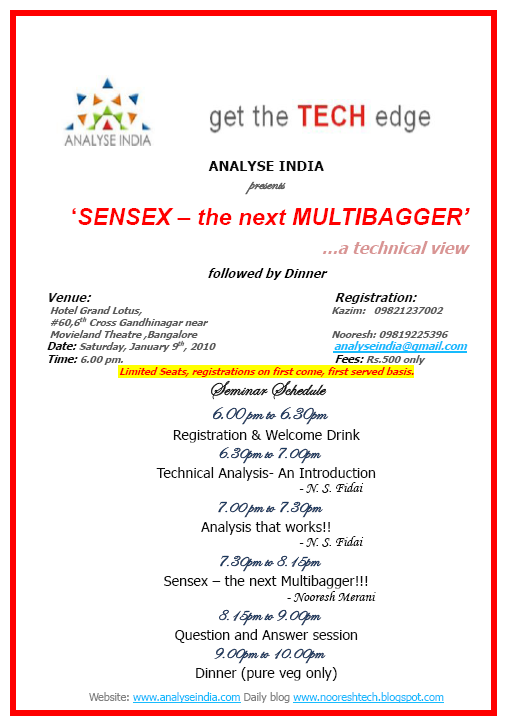 Sensex the next Multibagger … Banglore !! 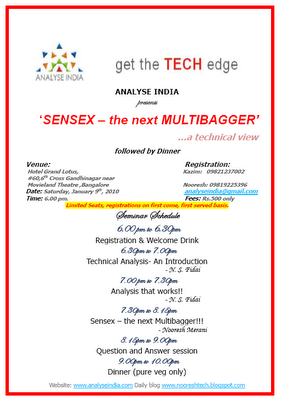 To confirm your participation and register mail to analyseindia@gmail.com. Can call Nooresh 09819225396 or Asif 09833666151 . Readers can pass the invite to their friends, colleagues and fellow investor/traders.